Mr. McAdoo thanks Miss Berry for the package of cotton bolls which remind him of his childhood picking cotton. He thinks he picked at least a thousand pounds, but he finds that this is not true. 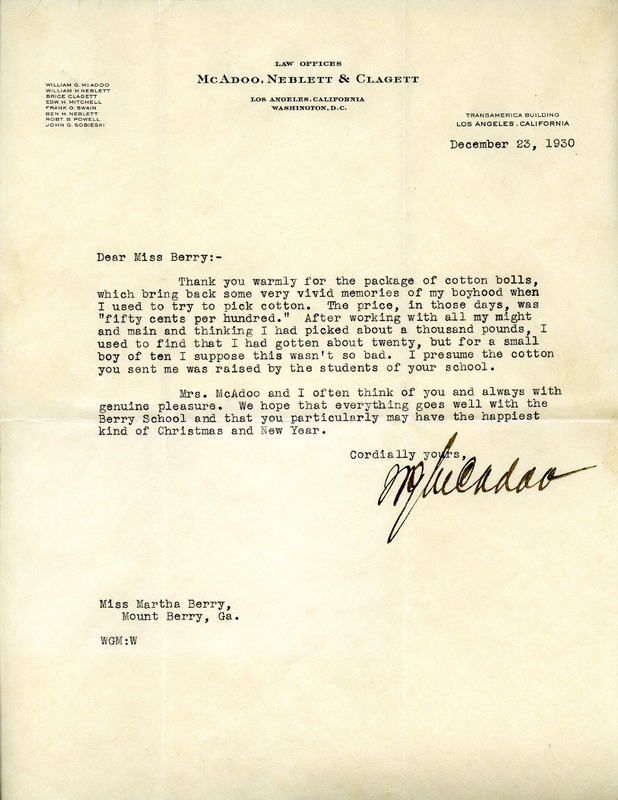 Mr. William G. McAdoo, “Letter to Martha Berry from William G. McAdoo.” Martha Berry Digital Archive. Eds. Schlitz, Stephanie A., Meg Ratliff, et al. Mount Berry: Berry College, 2013. accessed April 20, 2019, https://mbda.berry.edu/items/show/13123.